Working as a freelance producer/engineer and club DJ, Jason has built a career in the audio world both in the studio and on the stage. 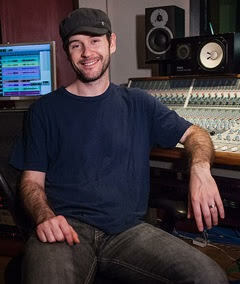 After graduating from Berklee in 2004, Jason began his career working in studios in and around Boston producing and engineering records for a variety of bands, artists, and rappers. In 2005, Jason became one half of the DJ duo Jefr Tale. As part of Jefr Tale, Jason hosted a weekly radio show on SiruisXM, performed at some of the biggest festivals and venues across the North America and Brazil (including Ultra Music Festival, Red Rocks Colorado, and Burning Man), and produced a string of successful original releases. Following up on the success of Jefr Tale, Jason plunged deeper into electronic production, working with several other DJ and producers and branching out into hip hop production and pop songwriting. Jason continues to split his time evenly between producing, engineering, writing, and performing.